Home READ Travelling With Parents- What It’s Really Like! 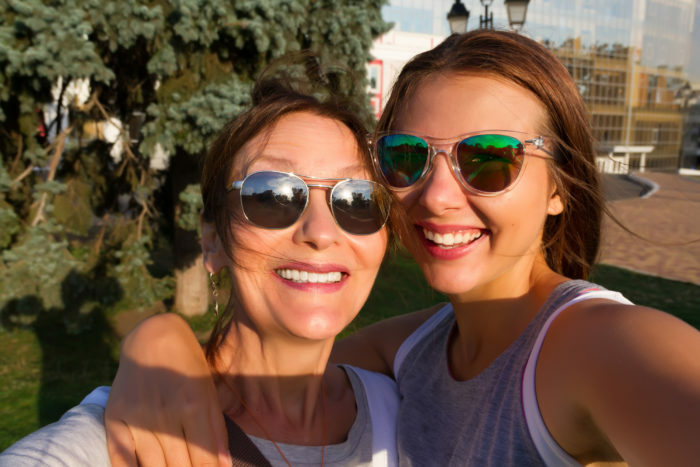 TDB’s own travel blogger Rachel DiMattia writes about her experience of travelling with parents! “Last year, I moved to Australia from the United States for a working holiday visa. While I was there, my Mom wanted to come and visit me. Since Australia is very far from home, it is not feasible to travel there for a short period of time, so my Mom planned a three week trip to Australia. Having traveled by myself for a very long time, I was nervous to spend three whole weeks with my Mom. The last time her and I had been on a plane together was nearly ten years prior. As soon as I was old enough to fly alone, I typically traveled by myself or with friends. I did not do much travel with my parents except for a few days here and there or a week to a beach that is only two hours away from home. My Mom and I are very similar in a lot of ways, but during my time in Australia, I did not like to plan. I lived day by day in deciding my travel plans. My Mom, on the other hand, loves to plan everything to the minutest details. She was planning every bit of our trip months in advance. I felt overwhelmed by everything that we were going to fit in, but I agreed with the plan. I figured that once we were on the move, I would really enjoy all the activities. When she arrived, we spent some time in Sydney, went to the Blue Mountains, went to Hunter Valley, and then went back to Sydney before flying to Uluru. We went from Uluru to Melbourne, traveled a bit around Victoria, and then it was already time for her to go. We had a blast! There was only one afternoon where we decided to go our separate ways because we had other ideas of what we wanted to do. We had no fights and no significant arguments that I can remember. I was so proud of us and how well we traveled together! We now have a trip planned along part of the west coast of the United States when I arrive in LA. This is another two to a three-week trip. I feel confident that it will go well! After our Australia trip, I think we are actually great travel partners! I may not like to plan, but I do like the activities that my Mom plans for us, so it works out really well. HOW CAN YOU MAKE THINGS EASIER? If you plan to travel with parents, make sure the communication is strong as far as what your expectations are. If you both like to be on the move, plan your trip as such. If one of you likes to do a lot while the other likes to relax, make sure you both communicate that there may be times when one of you will stay behind while the other goes out to do something. This is similar as with friends, but of course, traveling with parents is a different experience. You may not be out late partying as you would with friends, but that does not mean that you cannot have just as much fun! Previous articleAre You Feeling Lonely And Unappreciated?